Satomi is a young woman who loves to entertain. Well-traveled and highly proficient in English, Satomi works in global sales for a large consulting company. She became a Traveling Spoon host after a trip to India where she had a wonderful experience and realized that she too wanted to share her culture and cuisine with travelers from around the world. 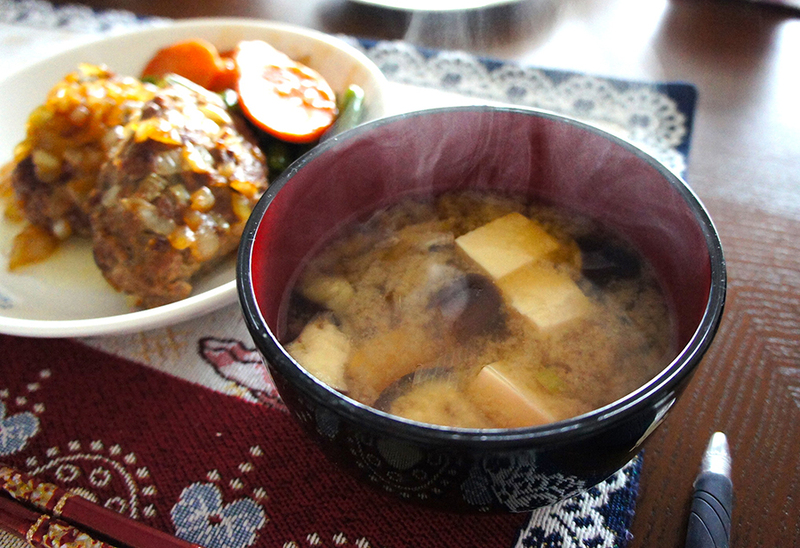 Growing up in Kyoto, her father was a fantastic cook, making traditional dishes like kasujiru (a traditional Kyoto soup with a base of sake) and kinpira gobo (burdock root and carrot cooked in sugar and soy sauce). Since moving to Tokyo, Satomi has re-discovered a love of cooking, taking classes at a popular Tokyo cooking school in everything from traditional Japanese dishes to baking. Satomi’s father, Seiji, occasionally joins her to host travelers. Curious to learn more? Here is a video of a blogger's experience with Satomi. 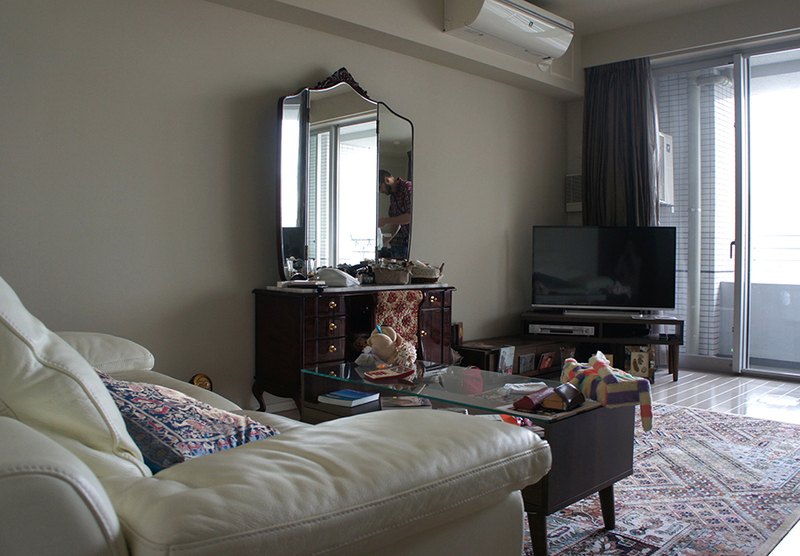 In-home meal: (1-6 guests) Satomi lives in a clean and modern apartment with views overlooking the city. Your home cooked Japanese meal might include dishes such as steaming homemade miso soup, mizuna salad or aji no namban-zuke (fried fish with vegetables in a vinegar based sauce), karaage (Satomi’s baked version of the traditional Japanese fried chicken), dashi-maki tamago (a Japanese style, dashi flavored rolled egg omelette) or one of Satomi’s favorite dishes, hambagu, Japanese style beef patties with onions and gravy. Your meal will conclude with Japanese tea. If you are with Satomi for dinner, after the meal she can take you for a walk to the nearby Harumi Ship Terminal. With evening-lit views of Tokyo Tower, Rainbow Bridge and ships moving through the canal, it is a beautiful sight to see. 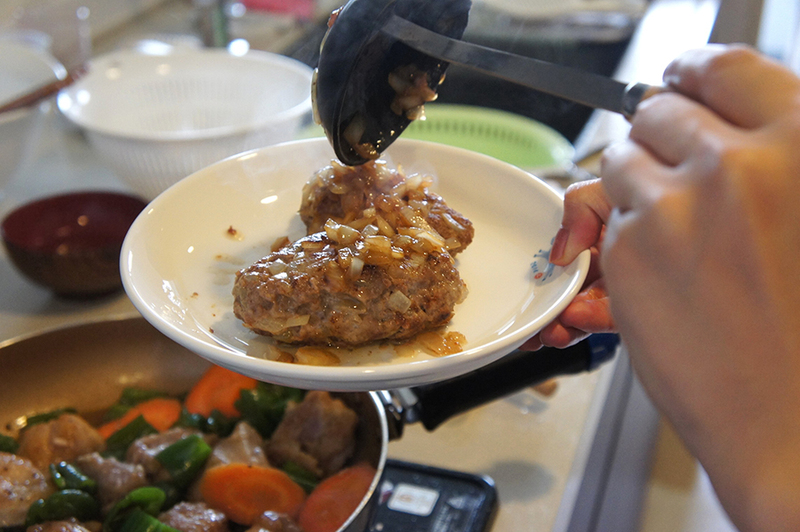 Cooking experience: (1-6 guests) Have fun chatting with Satomi as she teaches you to cook a traditional Japanese meal. During your cooking experience you'll learn to prepare two to three simple, homemade Japanese dishes. Market visit: (1-6 guests) Humming with energy and excitement, the Tsukiji Market is like no other. With Satomi as your guide, you’ll get a glimpse of the incredible local seafood trade and learn about the variety of seafood that passes through the market. Getting to the market can be tricky, but don’t worry - Satomi will meet you at the Tsukiji Train Station, on the Oedo line, and you’ll head to the market together. 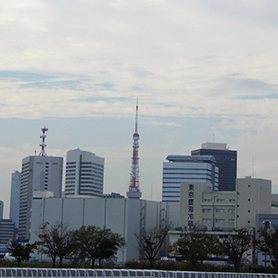 After exploring the market you will go to Satomi’s home, which is a short one-stop subway ride away. Satomi's market visits to Tokyo's famous Tsukiji Fish Market are not offered on Sundays, Wednesdays, or Japanese National Holidays as the market is closed. Notes: Satomi offers dinner on weeknights. On weekends she offers both lunch and dinner.At an additional cost, Satomi offers a choice between beer, wine, sake or shochu (a distilled Japanese alcohol). If you would like to add alcohol, please indicate your preference at the time of booking. Many Japanese households request that you leave your shoes at the door. It was a pleasure to meet Satomi and her father, share a meal and enjoy their company. Seeing the apartment and learning about the lives and work of our host and her father were very interesting! Satomi was just perfect! We totally enjoyed our experience - it was great! We went to the fish market, then to her apartment, helped her to cook, ate a great meal, she even sings so beautifully, it was very moving. Our favorite dish served was the noodles with shrimps. This was one of the best parts of our two week adventure in Japan, and our first time ever using Traveling Spoon. Satomi gave us a tour of Tsujiki Fish Market, including the back-end where the wholesaling occurs. We were able to stop and buy souvenirs and gifts there. Then, we walked to her home and talked about Japanese culture and current events (the market is supposed to be where the 2020 Olympics are held and she gave us lots of info about it). Her home was very clean and happy-- she even had heated floors! Upon arrival, she already had some warm fish as a snack waiting for us.The cooking & eating were great. I learned how to use Japanese utensils and how to make tomagoyaki. (After our visit, I went to the local kitchen supply district to buy some utensils for myself!). Satomi had take-home instructions if we wanted, too. She was very hospitable, personal, and an excellent cook! Satomi was delightful and fun. This is a great way to connect with locals and eat some authentic regional food. 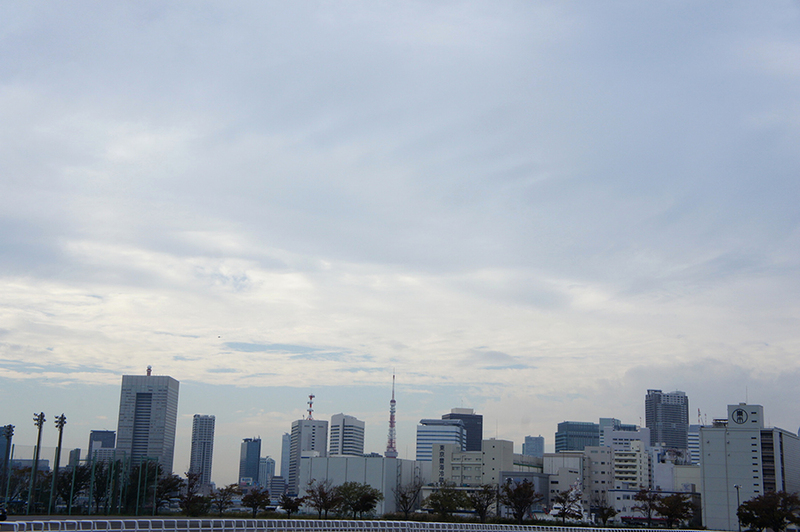 It is difficult in a city like Tokyo where the language barrier usually leads you toward westernized blandness. Our Traveling Spoon experience was the highlight of our visit to Tokyo. Being able to hang out with a local and casually talk about the culture and food was an eye opening experience that fundamentally changes the way I will execute travel plans in the future. My husband and I had a fantastic morning with our host in Tokyo, Satomi. 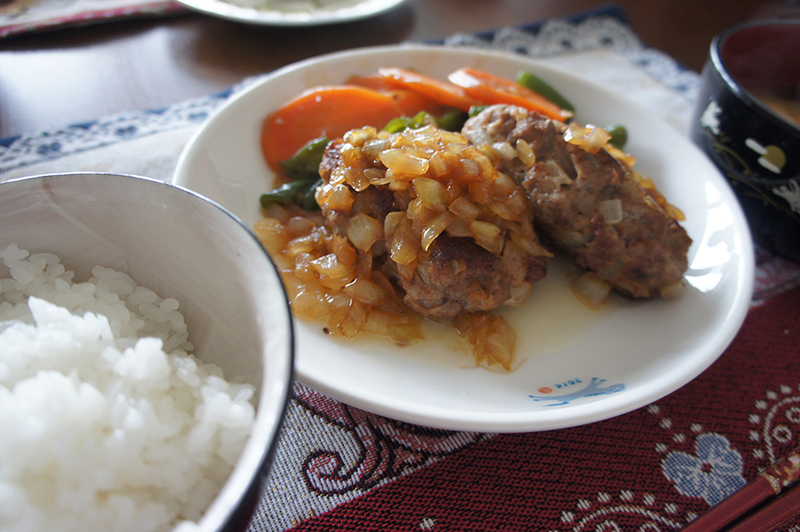 After buying fresh prawns at the fish markets we visited Satomi's house and made a delicious meal with her. Satomi was a fantastic host, very friendly and courteous. Cooking aside, it was so nice to meet a local and chat about her life, our lives and all of things we had in common. A really unique traveling experience! Satomi was a wonderful host! Her knowledge of the fish market was wonderful and she was really flexible with the menu, identifying what foods we liked and teaching us those. Home made udon was amazing, as was the karaage chicken, miso and egg roll! Her English is excellent and she was generally a fascinating person to chat to about Japanese culture in general! Thank you so much!